This blog has afforded me a number of privileges, the greatest of which has been the connections I’ve made with those in the blogging community who are grieving. Grieving hard. Young woman who have lost their spouses. Suicides. One man whose wife was raped then murdered. Miscarriages. Then, there are the slow deaths from dementia / Alzheimer’s / cancer, and the limbo of wondering, “What is wrong?” as the dementia turns to anger, abuse and eventual death. Tragedies. All. Darkness I’ve been privileged to feel. Many have expressed that they’ve wrestled with the “why” that God doesn’t answer. Yet, for many believers, and nonbelievers, the answer to this why cannot hold out to the next life. For too many this “why” is answered, not by the soft, quiet voice of the Spirit, but by the darkness of silence. A “why” that is only multiplied by silence. A “why” that grows into disbelief and continues to be solidified by the silence that started it. The other week we held the funeral for a 50 year old that was killed in a motorcycle accident at our funeral home. What made this particular situation more tragic wasn’t just the way he died, but the fact that he left his wife, young son and even his father behind. As I was parking the family vehicles in the procession line, I spoke with the deceased’s mother-in-law for about 10 minutes. She wanted to talk and I wanted to listen. She explained to me that, as there were no witnesses to the accident, the theory is that he lost control of his cycle as a result of a deer jumping out in front of him, causing him to attempt an evasive maneuver and lose control of his cycle. The mother-in-law explained that nobody knows for sure a deer caused him to lose control – as there were no witnesses — but given his superior riding ability, his familiarity with the specific road he was on, and the fact that there were skid marks at the place of his accident all seem to support the theory that he was lost control while attempting to avoid something … that something probably being a deer. Unknown and unexplainable deaths can often lead to a grey and confusing grief. I’ve noticed that grief works its way through a person in a slightly healthier manner when it has some explanation, but when there isn’t an explanation … it just sits like a morning fog. The forever question of “How did he die?” was answered not with a “real” answer, but with an answer that sufficed … that somehow made the grief that would otherwise be grey and confusing into something something slightly more healthy. It was an answer that we “imagined” from the best evidence we could supply. An answer from our own imaginations. The silence to the “why” is so maddening that we just fill it with answers of our own making. And maybe it’s somehow healthy for us. And then I wonder if the silence to our “why” might just be due to the fact that God has no answer. Maybe he’s not there at all. Or, maybe we’re asking a question that’s inspired by something that has no response. Todd Hiestand is one of my best friends from seminary. 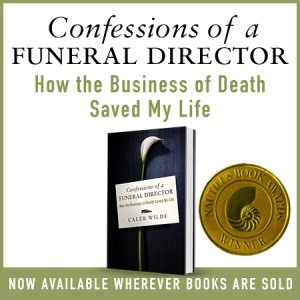 I was privileged to meet his mom, Carol Hiestand, at a graduation party, and I shared with her what I do, and she shared some of the story of how she lost her brother. My 49 year old brother (my only surviving sibling) was hunting in the Montana Mountain Wilderness early November 2005 and failed to show up later in the day after what was to be a brief “I’ll meet you down over the hill at the end of that road.” What followed was a 32 hour search and when found, he had already succumbed to hypothermia. We were in Illinois helpless and praying and hoping. I wrote this a year later, right around the first anniversay of his death. This poem represents a “Holy Saturday” experience that so many of us go through when we’re in the middle of death. even if you have lost your brother! even if you’ve journeyed through grief. Your grief is not my grief. Your journey is not my journey. Instead, let me tell you how I feel. Then hold me as I weep. Don’t tell me God is Sovereign. for myself . . .
for this time in my life. my brother is in heaven. Of course I am glad he’s in HEAVEN. But right now I want him here with me. I miss him too much for that to comfort me. about the one who has died. Don’t casually quote Romans 8:28.
they knew I would reach all along. Death has an odd way of producing silence even when so much wants to be said. Carol did such a great job at putting into words what so many of us feel or have felt. Doubt and silence play a major role in the history of the Church; a role, that for the most part, has been written out of the Protestant and evangelical story. In the Eastern Orthodox tradition, the method through which they look at theology is called “apophatic theology”, which is contra Western style of theology in that it speaks silence towards God, who is, they say, in many ways, unspeakable. Cataphatic theology (the Western style), which is what almost all of us in America attempt to do, is the attempt to define God positively, which often involves definition and affirmation. In other words, our theology often involves many words, while their theology often invokes silence (thus their use of icons as means of meditation during silence). Silence has been written out of the Western view of God. Protestant and evangelicals not only like to speak about God, they also like to assert about God. Doubt it not a part of our paradigm; thus, when somebody begins to doubt aspects of Christianity, it’s looked down upon, whereas in some Christian traditions – especially Orthodox and in some cases Catholicism – doubt is an accepted form of worship. Thus, Holy Saturday … the Holy Day where doubt and silence is the PROPER POSITION of worship. 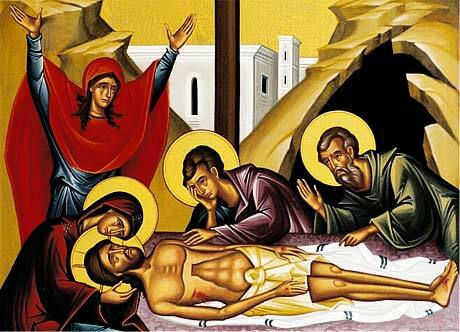 In the Catholic and Orthodox tradition, Holy Saturday is the holy day between Good Friday and Easter. It’s a day when we attempt to understand what the disciples of Christ were feeling. A day when we put ourselves in their sandals. A day when we try to understand, as the disciples had, the crucifixion WITHOUT the knowledge of the resurrection. Holy Saturday is a day when the church belongs to the doubters. It’s a day when we as Western Christians should do two things we are very uncomfortable with: embrace doubt and silence.